Odd couple? You be the judge. 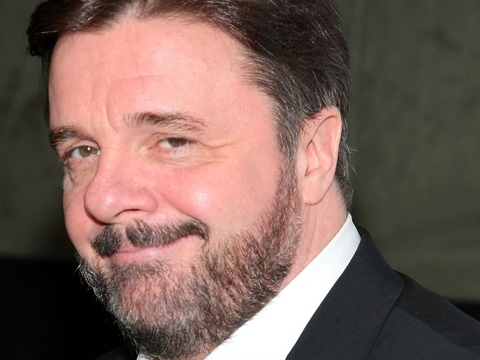 Tony winner Nathan Lane is the latest Hollywood celebrity to host a fundraiser for President Barack Obama’s re-election campaign. Lane, famous for his well received stage work in “The Producers” and “The Odd Couple,” isn’t opening up his own home for the event as did Sarah Jessica Parker. He’s still lending his considerable Broadway star power for the cause. Nathan Lane will host an Obama fund-raiser attended by Vice President Joe Biden at the Bridgehampton home of Ellen Chesler and Matthew Mallow. The Aug. 24 event, called East End for Obama, will feature a performance by James Taylor, and hosts include actress Julianne Moore, “Sopranos” star Edie Falco and Jane Holzer…. Tickets range from $500 to $10,000 to join the host committee and get a photo with Biden.